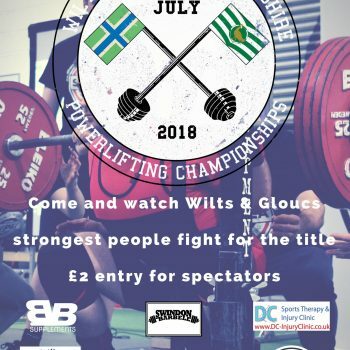 Swindon Barbell are hosting the inaugural Wiltshire and Gloucestershire Powerlifting championships in Royal Wootton Bassett Rugby Club on Saturday 21 July 2018. This is your chance to see some of the strongest men, women and juniors compete to win the first ever W&G title! Spectators are welcome from 10am with entry only £2 each! 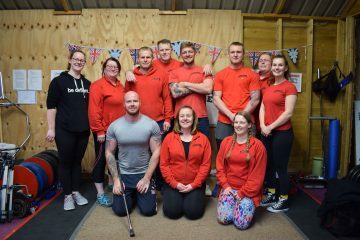 There will be a stand from BB supplements, based out of Swindon, offering up a whole range of health and fitness supplements designed to improve all areas including muscle growth and fat-loss. DC Injury Clinic will also be there to provide discounted soft tissue therapy to competitors and spectators alike! 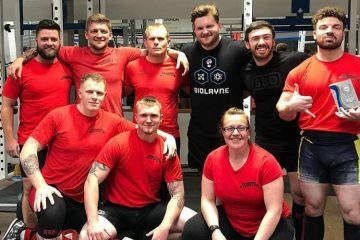 You can check out the Swindon Barbell stand where you can find some of our apparel up for sale as well as take stock of the incredibly strong people Wiltshire and Gloucestershire have to offer! 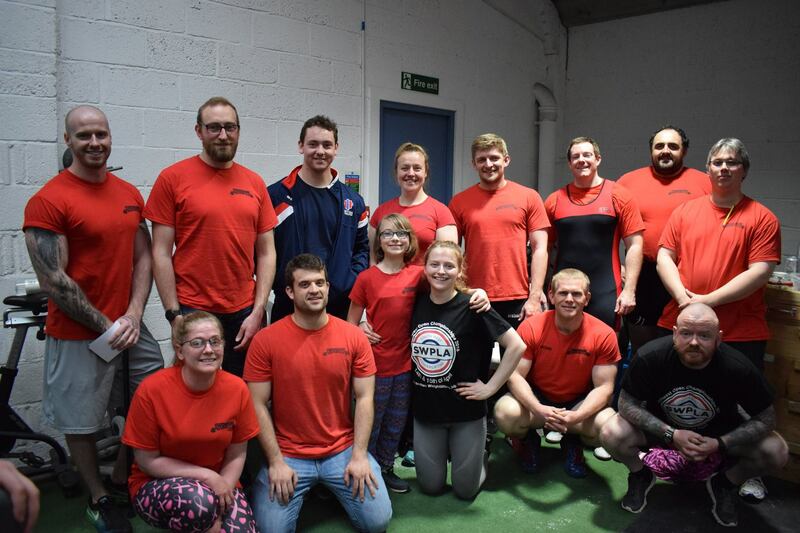 Lifting starts from 10am to approximately 4pm with refreshments and food available from RWB RFC.